I am definitely not the type of people who like to draw a lot of public attention. However, it is time for me to share what I know about about international trade and to explain why trade is more than an opportunity than a tread for our country and the world. 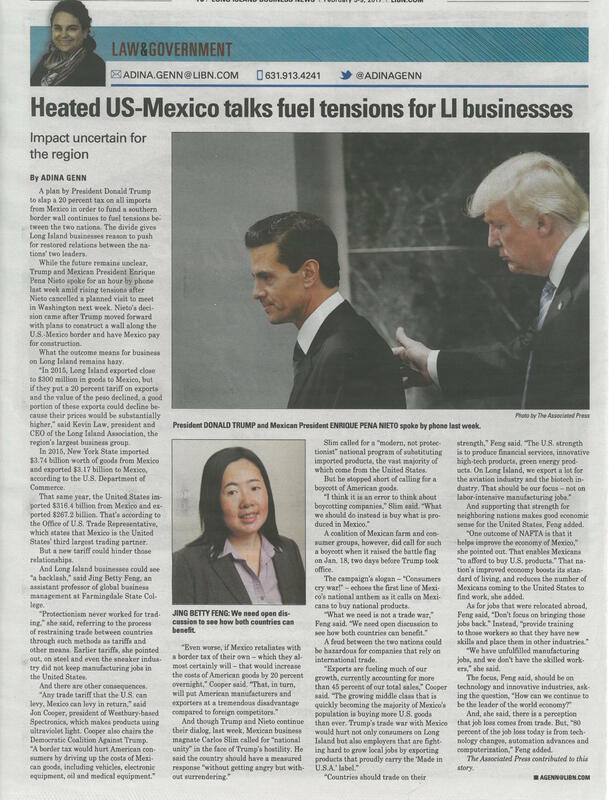 Thanks to the newspaper of Long Island Business News, especially the reporter Adina Genn, to allow me sharing my thoughts with the local community.